← Color Trade Print has Released the Cracken! #1: Rounded Corners– Having all or some of the corners on your business card rounded can make a huge difference in the overall look and feel of your cards. #2: Magnets–Making magnets out of your business cards are a way to create a useful product with your contact information. And they are more likely to be stuck on the fridge and less likely to be tossed in the trash. #3: Folded Cards– Folded cards let you stand them up like a table tent on an exhibit or display, and you can make them mini brochures with additional information about your company or services. #4: Mini Cards– Mini cards are business cards that are smaller than the standard size. This can make the cards stand out, yet those receiving them can still stick them in their pocket or stack them with other business cards. 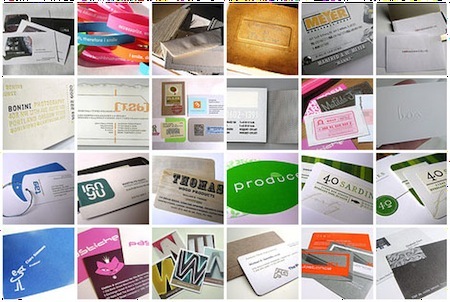 #5: Die Cut– Business cards in a different shape can be especially memorable. You can try something as simple as a circular card or create a custom shape. #6: Rip Cards– Rip cards are traditionally used as door hangers or rack cards with a tear-off piece at the bottom that can be a coupon or business card. But you can create your own rip cards in business card size. Use it for a tear-off basic HTML cheat sheet, a hex code color table, or even a list of resource sites for your clients. You can do this by using the back of your cards, too. #7: Plastic– For a stand-out card, try a clear plastic design. Not only are they creative and different than most other cards, but they are extremely durable. #8: Recycled– Recycled cards are a great way to lessen your carbon footprint while creating a unique image for your business. There are a lot of options out there from recycled paper, to soy-based ink, to reused paper and materials. This entry was posted in Brochures, Business Cards, Design, Printing. Bookmark the permalink.